As a longtime friend of Bang on a Can’s founding composers and a creative firebrand in his own right, Jeffrey Brooks makes music that shimmers with bold intensity and an enveloping warmth. Big expressive gestures, heavy basslines, echoes of pop and rock, jagged dissonance and New York-style “downtown” noise are all signatures of his vibrant and electric sound. He first met Michael Gordon, David Lang and Julia Wolfe while a student at Yale in the mid-1980s, eventually returning to his home state of Minnesota and taking up residence in Minneapolis, where he was artistic director of the American Composers Forum from 1990 to 1995. Brooks might be best known for his wind ensemble work Dreadnought (1996), but perhaps just as significantly, he is one of the few modern classical composers with a penchant for chasing rhythm in a way that even dancefloor DJs can understand. The Passion collects three of his most compelling works: After the Treewatcher, Capriccio on the Departure of a Beloved Brother (dedicated to Steve Martland) and the epic title piece. Featuring edgy, raucous performances by the Bang on a Can All-Stars (with Taylor Levine subbing on guitar for Mark Stewart) and the New York-based large ensemble Contemporaneous, conducted by David Bloom, the recording is, in essence, a tribute to the lasting power of friendship, and a triumph of the human spirit. As befits the album title, the music here is born of remembrance, loss, and human pain. With all that introspection and mourning, the result might have been a solemn affair, but as it turns out, the music is buoyant and profoundly uplifting. 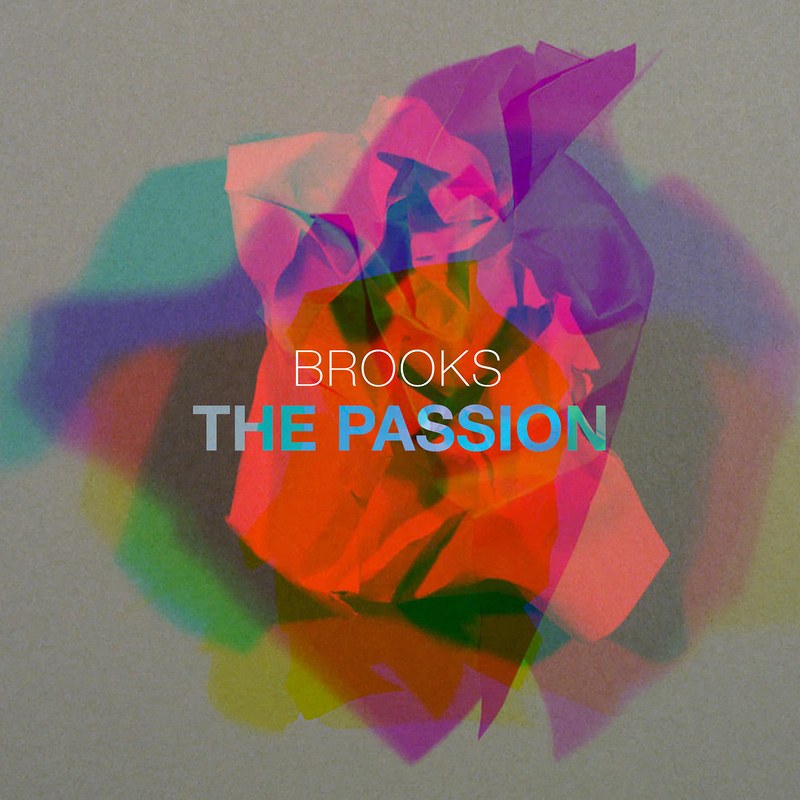 This is a triptych that celebrates life in spite of suffering, and puts Brooks’ expansive musical and emotional palette on full display. Brooks says that hearing Michael Gordon’s piece The Treewatcher was a seminal, life-changing moment for him—so much so that in 2012, while sitting on his front porch and thinking of the next piece he should write, The Treewatcher came to mind. Brooks hadn’t heard the piece since its 1980 premiere, but he set to work reimagining it on his own terms. At Gordon’s suggestion, he worked from memory to maintain the hypnotic quality of the original, while shifting it slowly and steadily. And in a nod to the original, the piece ends with David Lang hitting a hotel bell for 20 seconds. Capriccio on the Departure of a Beloved Brother is a tribute to Brooks’ close friend, the late British composer Steve Martland. It starts with a scratchy vinyl recording of the J.S. Bach work of the same name, invoking a nostalgia that gives way to waves of guitar feedback and drums. The work soon morphs and the band fires on all cylinders with instructions to play loud, reflecting Martland’s love of rock music and dance clubs. The Passion represents a multi-year commitment by Bang on a Can to commission Brooks, and is the first recording devoted solely to his music. All three works on this album were commissioned over a period of five years by the Thelma Hunter Fund for Bang on a Can, and premiered at the annual Bang on a Can Summer Music Festival at MASS MoCA and the Bang on a Can Marathon in New York City. The album was produced and recorded by Damian leGassick and recorded at the Power Station at BerkleeNYC in May 2018, and is the first joint release between Cantaloupe Music and innova Recordings. Jeffrey Brooks is an American composer living in Minneapolis. He began composing at an early age, eventually going on to study at Tanglewood and Yale University, where he earned Masters and Doctoral degrees. His primary teachers include Louis Andriessen, Gilbert Amy and Martin Bresnick. Brooks is associated with the post-minimalist composers of Bang on a Can. He was closely involved in shaping the aesthetic profile of the early festivals in the 1980s. His music fits the Bang on a Can image in terms of rhythmic drive, single-minded approach to form, and use of amplified instruments, but his work is also characterized by attention to counterpoint and an almost Neoclassical sensibility.